Kodak was a sponsor of the 1996 Summer Olympics in Atlanta, Georgia. 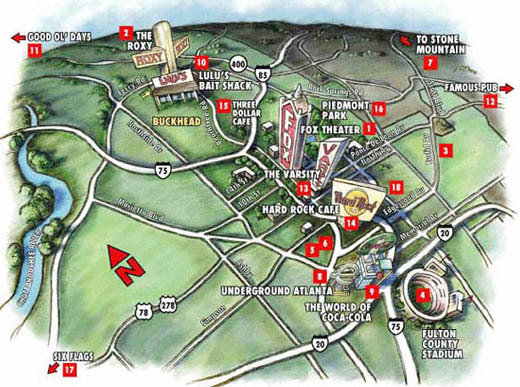 They wanted to give visitors a handy map of places to visit in the Atlanta area. Randal created this forced aerial perspective map to highlight a number of sites and locations.